Canada and the U.S. are planning a series of marathon negotiating sessions that are expected to run throughout the night as both sides work feverishly to get a deal on NAFTA before a pending Friday deadline, Foreign Affairs Minister Chrystia Freeland said Wednesday. Freeland said she, and her American counterpart, U.S. trade representative Robert Lighthizer, have instructed their trade teams to try and hammer out a compromise on a series of bilateral sticking points, telling them to work as long as it takes to establish some "landing zones in a number of areas." Freeland did not specify which chapters of the original NAFTA are still in dispute. "Given the extreme intensity, and the very fast pace of this conversation, we are not going to conduct our negotiation in public," the minister said. "Our officials will be meeting very late into the night, possibly they'll be meeting all night long in these areas," Freeland said, adding she and Lighthizer will return to the table tomorrow morning to review the work done by bureaucrats. Lighthizer has already brokered a preliminary bilateral deal with Mexico. Sources told CBC News that Canada is particularly concerned with how Chapter 19 of the original NAFTA — the dispute settlement mechanism that can be used to challenge anti-dumping and countervailing duty cases, like what has been used by Canada in past on the softwood lumber file — has been renegotiated by the U.S. and Mexico. "We're working away. [There's] real commitment on both sides to try to wrap up on Friday, but we're not there yet. Chapter 19 remains a sticking point, among other things," said a senior source with direct knowledge of the situation, who spoke to the CBC's Katie Simpson on condition their name not be used. Chapter 19 has been a do-or-die issue for Canada as it is often relied on to fight punitive duties. Lighthizer has long opposed this chapter as he believes it's in violation of U.S. sovereignty. 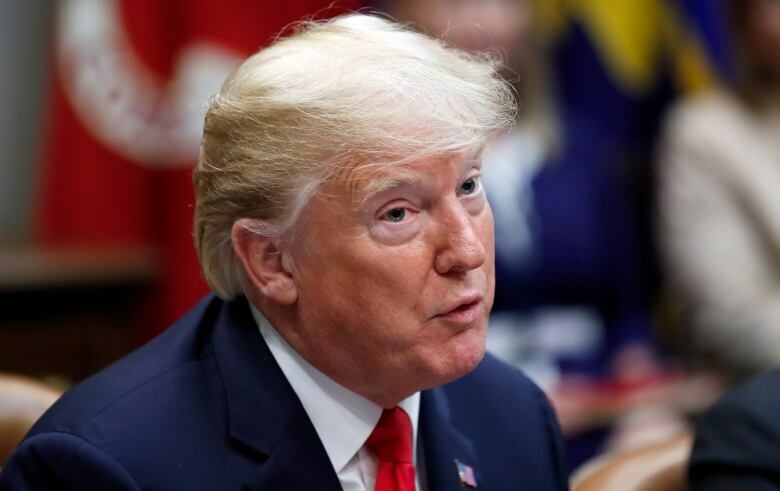 The last-minute push to secure some sort of compromise comes amid a spirit of optimism from U.S. President Donald Trump who said earlier Wednesday he believes a deal between the two countries could soon be in hand. "I think Canada very much wants to make the deal. I think it's going to be very good for Canada if they do," he told reporters. "We gave 'til Friday and I think we're probably on track." Canada has been pressured to sign a deal quickly — one largely concluded without our negotiators at the table for pressing trilateral issues — or face damaging U.S. tariffs on Canadian-made vehicles that could cripple the domestic auto industry. Asked about the progress of the time-sensitive renegotiation process, Trump said the talks are "doing really well" after the two countries had a late-night meeting at the White House on Tuesday and then continued talks throughout the day Wednesday. U.S. and Mexico want a deal by Friday to ensure an agreement can be sent to Congress for its mandatory 90-day review. As well, the incoming Mexican administration takes office on Dec. 1. Mexican officials have said they are prepared to go it alone with the Americans if Canada and the U.S. cannot resolve some lingering irritants. Amid the optimism, Prime Minister Justin Trudeau's spokesperson tweeted that the PM will convene a call with Canada's premiers Thursday to discuss "ongoing NAFTA negotiations." 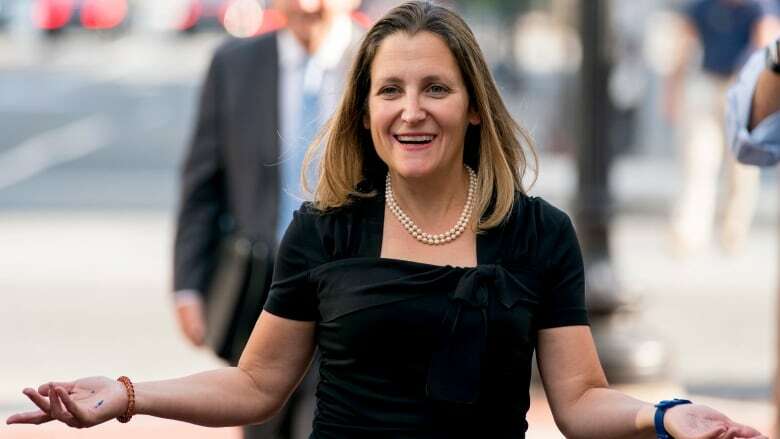 CBC News has learned that Freeland is also expected to hold discussions with the government's NAFTA advisory council, a panel that includes former top politicians and representatives from various segments of the Canadian economy. Asked if a deal could be reached by Friday, Freeland said: "You're tempting me to say something Churchillian — is this the end of the beginning, is this the beginning of the end? Let me just say a lot has been accomplished." Freeland said she is encouraged by the progress made in talks between the U.S. and Mexico, particularly on the autos front where the countries agreed to a wage provision that 40 to 45 per cent of auto content would be made by workers earning at least $16 US an hour. "Mexico has made some significant concessions which will be really good for Canadian workers. On that basis, we are optimistic about having some very good, productive conversations this week." Trudeau said Wednesday that Canada will not be forced into just any deal because of pressure from its trading partners. "I understand the Americans and the Mexicans very much want to try and get things done by Friday," he said at a school event in Kapuskasing​, a town in northern Ontario. "We're seeing if we can get to the right place by Friday. But, as I've said all along, it has to be right deal for Canada, and that's what we're staying firm on." Canada and U.S. negotiators discussed Chapter 19 Wednesday morning before moving on to Canada's concerns with what Mexico agreed to on intellectual property rights. The U.S. — under pressure from the big pharmaceutical lobby — has persistently pushed for longer drug patents. The two sides also discussed de minimis levels. The U.S. has insisted Canada must raise its duty-free limits on imported goods. The current threshold that allows the duty free import of purchases under $20 is said to be far too low in an era of robust e-commerce. The U.S., meanwhile, allows its citizens to import $800 from abroad, penalty free. Freeland downplayed concerns Wednesday that the bilateral deal announced by Trump and his Mexican counterpart came as a surprise to the Canadians. "It's probably worth pointing out that we have been, both at the ministerial and officials levels, very closely engaged and working on all of these issues for more than a year. We've been in good contact throughout the summer," Freeland said. Talk of a breakthrough by Friday comes as some Republicans in Congress signal they might not accept a Mexico-only deal as the fast track negotiating authority — extended under the Trade Promotional Authority law — that Congress gave Trump and his administration was a for a trilateral deal inclusive of Canada. While not one to be held back by precedent, Trump could face a showdown with legislators who say excluding Canada may not satisfy congressional procedures for approving trade agreements. Under U.S. law, Congress retains the authority to review and decide whether any proposed trade agreement will be implemented. Texas Republican Sen. John Cornyn told reporters there would be "technical problems" with Congress voting on a bilateral U.S.-Mexico trade deal. Pennsylvania Republican Sen. Pat Toomey, a known free trader, said Congress will retain the right to approve any trade deal despite some of the assertive rhetoric coming from Trump's White House. "NAFTA was enacted with legislation. … Similarly, a change to NAFTA requires legislation." Kansas Sen. Jerry Moran, another Republican, added it would be "really shortsighted" for the U.S. to have an agreement only with Mexico. In face of this legislative reality, senior White House officials have blanketed cable airwaves in the last two days trying to tighten the screws on Canada to sign a deal in short order. "Well, this deal is pretty well put together with Mexico. 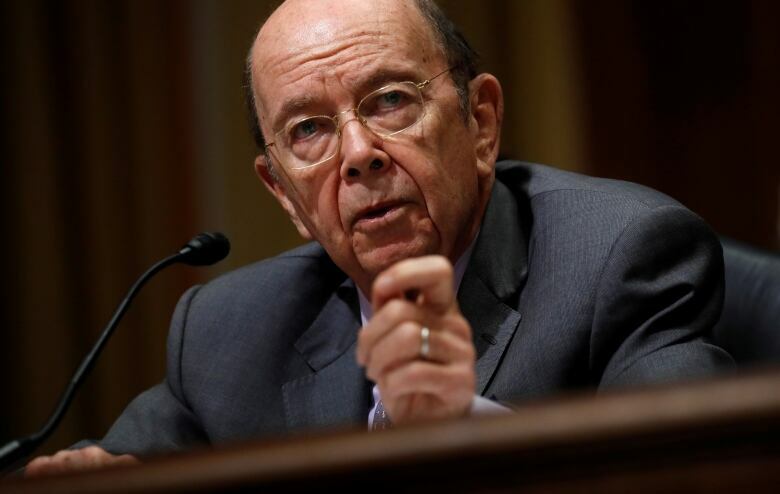 So the president, as he's indicated, is fully prepared to go ahead with or without Canada," Wilbur Ross, the commerce secretary, said in an interview with Fox Business. "We hope that Canada will come in." Ross said he was confident Canada would ultimately join the deal because its economy "can't survive very well" without the United States. "The key thing is the Canadian economy can't survive very well without a deal with the U.S. They're too dependent on us and particularly too dependent on the automotive sector. Since we've already resolved the automotive issues with Mexico, those are now issues that are particularly adverse to Canada," Ross said.